The inclusion of a tech vendor on Gartner’s prestigious Magic Quadrant is always cause for back-slapping and announcements to the press, but with so many different Quadrants to assess and so many trumpet-blowers to choose from, MicroScope has historically never given it any coverage. Nevertheless, given the persistence of the vendor community in reaching out to promote their inclusion, it has become clear that someone, somewhere, sees some value in it. But what relevance does the Magic Quadrant have to the channel, you might well ask. Does it have any real value or is it just a marketing gimmick designed to appeal to buyers? Sean McCarry, senior director at CA Technologies UK and Ireland, is adamant that the Quadrant is a critical tool for understanding and recognising who the market-leading technology vendors are and, in that regard, is a vital tool. “Customers making strategic technology decisions want to invest in the best technology for their organisation and look to the Gartner Magic Quadrant to identify the vendors with the market-leading technologies they need,” he says. 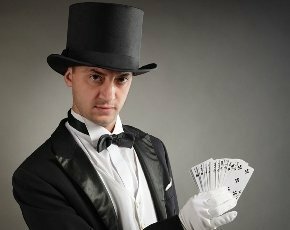 Craig Parker, head of product marketing at Fujitsu, says the Gartner Magic Quadrant has value across the industry due to the validation that it provides, “from resellers and end-users to senior management at vendors such as Fujitsu. “I presented a new product strategy to our CEO recently and the Magic Quadrant – along with Gartner’s quarterly market trends – formed part of the presentation. At Fujitsu we find that they help to provide context for the strategies that we develop to drive our business forward,” says Parker. Gartner’s Magic Quadrant depicts markets in the middle phases of their life-cycle by evaluating vendors based on their completeness of vision and ability to execute. This assessment is based on 15 weighted criteria that assess vendors based on market strengths. Gartner says this model is well suited for both high-growth and consolidating markets, where vendor differentiations tend to be most distinct. The criteria Gartner looks into include, on the vision side: the vendor’s ability to understand market needs; marketing strategy; sales strategy; product development strategy; underlying business model viability; vertical and industry strategy; innovation; and geographic strategy. Ability to execute, meanwhile, is assessed in terms of product and service capabilities; overall financial health and visibility; sales execution and pricing; market responsiveness; marketing execution; customer experience; and operational capabilities. Gartner’s findings are then distilled onto the famous quadrant, where vendors are placed as either a “challenger”, who executes well today or may dominate a large segment, but does not yet understand market direction; a “niche player”, who focuses successfully on a small segment, or is unfocused and does not out-innovate or outperform others; a “leader”, who executes well today and is well-positioned for tomorrow; or a “visionary’, who understands where the market is going or has a vision for changing market rules, but does not yet execute well. Among those who value the Magic Quadrant, the two right hand positions – leader and visionary – are regarded as the most desirable locations. So how should frontline resellers – whether classed as VARs, managed service providers or system integrators – make best use of the Gartner Magic Quadrant? Many are already actively exploiting Gartner’s research to enhance their business’s profile among customers. One such firm is document management specialist and Xerox partner Bytes, where managing director Darren Spence says he sees enormous value in the Quadrant. “We are very aligned with what Xerox is doing, I think it helps us extend our completeness of vision, in that we can see how Xerox’s vision goes and extend it,” explains Spence. “The same also goes around the vendor’s capabilities. If we as a VAR can extend those capabilities it’s easier if we have a point of reference. “From a customer perspective the Quadrant empowers him to start looking at resellers,” adds Spence. He believes this may be an area Gartner could move to develop itself, and suggests that ranking VARs on a Magic Quadrant of their own would be a useful step both for companies such as Bytes and their customers. Spence may be in luck, as Gartner has already started to move in this direction, producing a new Magic Quadrant for European Managed Hosting, evaluating for the first time some of the best-placed hosting firms in the channel. One company that made it onto the new Quadrant is Claranet. UK managing director Michel Robert says that, to him, the listing provides further validation of the firm’s capabilities to a range of stakeholders, including customers, partners and even channel media. “We’re not a huge business so it helps in providing visibility, either direct or through the channel. Our partners building hosted services on top of Claranet will find it gives the smaller ones more credibility and helps to build trust, but of course it should be looked at along with other information and case studies, and that applies across stakeholders. “From a competitive standpoint it helps put us in context and helps us differentiate. I think most people will obviously know Gartner already, but the difference is whether or not small companies have invested in research and can buy the reports themselves. Enterprises will have access to it more readily and certainly procurement processes in large organisations will be more mature,” says Robert. Like Robert, Ian Kilpatrick, chairman at Wick Hill, also sees value for resellers selling into larger organisations. He says the Quadrant helps such partners focus on the strengths of their solutions and offers reassurance to mid-market and enterprise buyers – who will probably have done some research of their own – that their technology suppliers have the qualities needed to be represented on the Magic Quadrant. Corey Badcock, director of content marketing at next-generation WAN optimisation vendor Exinda, believes that working with a vendor that has received a good Magic Quadrant placing will help bring better quality channel business to the table. Exinda was recently named to the WAN Optimisation Controller Magic Quadrant. Since being listed, Badcock tells MicroScope that information on the placing has been the most downloaded asset from the company’s website, beating content such as white papers. “Every company has white papers and lead generation programmes, and we all use the same words, so the big benefit is that the Quadrant is an unbiased source of information about the product category. And Gartner was very honest about what we needed to improve,” he says. “It helps us drive better leads to them and more of them. Customers using the Magic Quadrant are more ready to buy when they get to the channel,” he says. McCarry at CA reckons it is equally important for partners, MSPs and systems integrators to consider the Gartner Magic Quadrant when building their technology stack and their go-to-market strategies. However, Adam Davison of Cloud Distribution says the Magic Quadrant presents some challenges to resellers, chief among which is the need to interpret the positioning accurately to deliver the most relevant technology. “A reseller could say: ‘Right, I’ve done due diligence and I think one non-leader vendor is the right choice,’ but the problem for him or her is that the end-user has done due diligence as well, and will tend to evaluate only the leaders,” he says. Kilpatrick at Wick Hill also cautions against using the Magic Quadrant as a definitive guide. For Kilpatrick, being on the desirable right-hand side does not automatically make a solution the best one for the customer. “The Quadrant helps focus the conversation around the customer’s needs and expectations. It helps the channel develop their own positioning and gives them some credibility, but it will always come down to understanding what the customer needs,” he says. Alan Haley, managing director at outsourced business development and marketing consultancy Europa Communications, agrees that vendor selection is, in his words, a“multidimensional decision”. “Channel partners will still have to dig deeper on their own to assess the factors that matter specifically to them including the margin potential, ease of implementation, flexibility and availability of training and other added services. Some of this detail may be included in the commentary alongside the Quadrant but they were never specifically intended to support the needs of the channel community,” says Haley. Richard Eglon, marketing director at channel services specialist Comms-care, goes further and says he does not believe every reseller really needs such guidance when it comes to understanding the customer. He suggests this is something that should happen naturally and questions whether the Quadrant has any value at all to the average partner. “People buy from people and provide solutions ona day-to-day basis. I see it as more relevant to investors rather than the reseller community,” he says. But it is not just resellers that can take advantage of the Magic Quadrant. Davison at Cloud Distribution uses it extensively when doing due diligence on new vendors to add to his proposition. Cloud Distribution recently signed Fiberlink, a mobile device management player, after discovering it via Gartner. However, he says, there is a lot of focus and energy put on being the leader - which he claims is both a good and a bad thing. “It’s good because it rewards vendors who have built a good channel, have good messaging and good technology; but at the same time there is so much emphasis put on the leader’s position that a lot of great technology from start-ups doesn’t make the cut and what is forgotten is that they have to go through that stage to get to be a leader,” says Davison. Kilpatrick at Wick Hill has also used it to build up his vendor portfolio and believes the Magic Quadrant has huge value to a distributor so long as it is used as a set of guidelines, rather than a rulebook. “It gives you a view of where the market is from Gartner’s perspective and that allows you, as a distributor, to point out issues around it and for resellers to sell on those issues,” says Kilpatrick. Espion director and head of technology distribution, Jim Lehane, says: “While research benchmarks such as the Magic Quadrant, which is incredibly user-friendly, is an excellent starting point when looking at the solution criteria, it can be rigid in its comparisons. “Our role as a VAD is to leverage the expertise within our firm and subject every product to rigorous testing to ensure it reaches our exacting criteria. We stand by every solution we sell because we have tested and evaluated it ourselves,” he adds. Over at Computerlinks, David Ellis, director of new technology and services, says the Quadrant brings him additional credibility when pushing partners into new areas. “If a vendor does come well rated by Gartner then it is often easier to get resellers to consider them, as they will feel the risks are reduced and in turn it will be an easier sell to their customers. Many of the vendors within our core technology portfolio sit in the top right, so it reassures our partners that we are working with best of breed vendors,” he explains. Guy Mucklow, co-founder and CEO of data services vendor Postcode Anywhere, missed out on a position on a recent data quality Magic Quadrant, because the company did not then provide all the elements of a full solution, but he did wind up on a list of suppliers to watch. Clare Grant, vice-president of marketing at mobile application development platform vendor, FeedHenry, also talks up the idea of the Magic Quadrant being a useful tool when it comes to lead generation. “When my previous company was ranked as a leader in the Magic Quadrant, we purchased a licence allowing us to host the Gartner report as a downloadable asset on our website, as well as including a link to it within our email campaigns,” she says. “This also provided a valuable marketing asset to our system integration partners who could quote the fact that we had leadership position in the Magic Quadrant within their RFPs and sales presentations. Gaining inclusion in the Gartner Magic Quadrant confers enormous kudos on an organisation; it adds value to a vendor’s brand by providing third-party endorsement and positions the vendor as a major market player. This impresses decision-makers within end-user organisations and helps channel partners to win sales, particularly within the enterprise sector, where the Magic Quadrant is used at the start of the sales process, before RFPs are prepared”. What should be clear to the channel is that the Magic Quadrant can only ever be a component of a channel sale. It is no substitute for taking the time to listen to the customer and evaluate his or her business needs, and any reseller worthy of the name does not need to be told to do that. The Magic Quadrant will establish that you know what you’re talking about at a very high, general level, but you should not be afraid to go off-piste, because often the flexible, fast-moving niche vendors that don’t make it through the door will be far more suitable to the customer’s requirements. “Every market is far more dynamic and fluid than the Magic Quadrant suggests,” points out Wick Hill’s Kilpatrick. Robert at Claranet has the last word on the future value of the Quadrant, in light of Gartner’s foray into evaluating and ranking hosting providers. “Because we do not provide a point technology I think it probably is a very clear marker of the fact that there is a transition to buying more service-based products,” he says. Just wondering if you actually interviewed anyone at Gartner or an analyst relations professional?